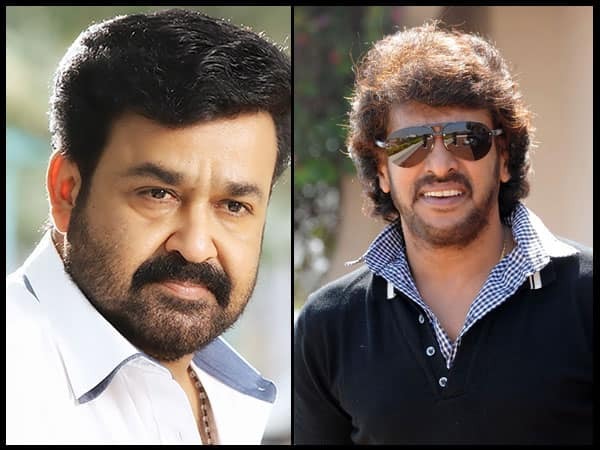 The Malayalam actor, Mohanlal, who made his Kannada debut in the film Mythri has signed yet another Kannada film with megastar Upendra. The film, which has been provisionally titled as Kanneshwara has already started shooting in Bangalore along with the team. The director has confirmed that Kanneshwara is not the remake of Hindi film Special 26 and will be an authentic one. As per media a report, the cast of the film has yet not been confirmed by the director and producer, but a lot of super stars will be roped in. Rumours have been doing the rounds that Vedhika, who shared a screen space with Shivanna's Shivalinga, is likely to play a leading role in the film. It will be nothing but a treat for fans to witness all the megastars together on the screen. However, Upendra will wind up his shoot for his film Upendra Matthe Hutti Baa by end of November. After that he will wholly devote his time for Kanneshwara. Desimartini wishes that the movie sails smooth at the box office.